Is Milk Really Low Glycemic? How Much Protein Is in a Cup of Milk? Like chicken soup in the U.S., turmeric milk is a home remedy common in India used to treat a number of ailments, including congestion and indigestion. Turmeric provides the distinctive flavor and color to curry. While there are some health benefits associated with the orange-yellow spice, it is not a cure-all, and drinking it with milk does not enhance the benefits. In Germany, turmeric can be prescribed as a form of treatment for indigestion, according to the University of Maryland Medical Center. The active component in turmeric, called curcumin, stimulates the gallbladder to release bile, which some people believe may aid in digestion, says UMMC. Turmeric may also help improve gas and bloating, although the data to support these claims is from one study conducted in 1989. The curcumin in the turmeric milk also helps reduce inflammation. Drinking the spicy milk may help reduce pain as well as lower risk of a number of chronic illnesses associated with inflammation such as Alzheimer's disease, heart disease and inflammatory bowel disease. It may also be beneficial to those with osteoarthritis, according to UMMC, although more research is necessary before formal recommendations can be made. With milk serving as one of the main ingredients, turmeric milk is a good source of calcium, which is essential for bone health. A 1-cup serving of turmeric milk made with nonfat milk contains nearly 300 milligrams of calcium. Adults need 1,000 milligrams to 1,200 milligrams of calcium a day. Making sure you meet your daily calcium needs may reduce your risk of developing osteoporosis. As an antioxidant-rich beverage, turmeric milk may also help prevent and assist with the treatment of certain types of cancer, says UMMC. 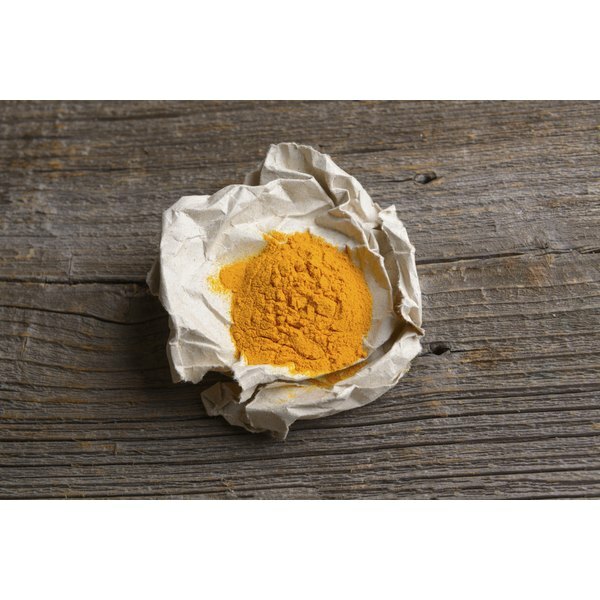 The National Cancer Institute is investigating the use of curcumin as a nontoxic form of intervention for people in the early stages of colon cancer, according to a 2008 review article published in "Chinese Medicine." Test tube and animal studies indicate that the turmeric in the milk may protect against prostate, breast and skin cancer, in addition to colon cancer. While the turmeric in the milk shows promise as a beneficial food in the fight against cancer, more research is needed.